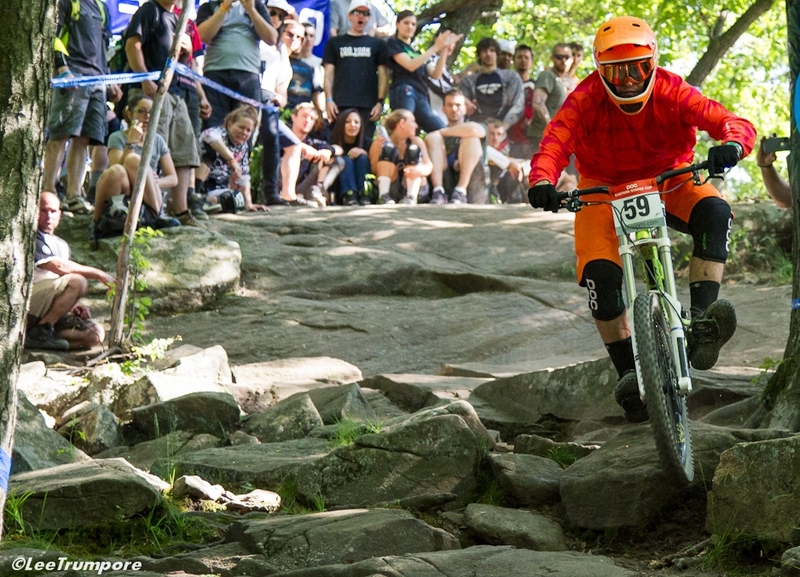 The MAXXIS Eastern States Cup was developed in 2010 as a USA Cycling Eastern Regional Downhill MTB Championship Series and featured two USA Cycling State Championships. This proved to be a popular formula with racers and venues. In 2011 the series expanded to three USAC State Championships at six premier East Coast Venues. 2012 brought another year of growth. The series blossomed to fourteen races and five USAC State Championships. In 2013 the MAXXIS ESC added a very successful Enduro Series. In 2014 the MAXXIS ESC added the MAXXIS Eastern States Cup SuperD Series. 2015 was a breakout season for our DH series that featured the MAXXIS ESC Super DH Championships with the pro’s taking home over $2000. In 2016 we started the enduro season with multiple sellouts, something we never expected. The MAXXIS ESC introduced the ESC North American Downhill Team for Juniors, we wanted to help our juniors get to the UCI World Cup events and we had great success with the 10 racers on our inaugural team. In 2017 we helped two of the team’s racers compete for the UCI World Championships in Australia. In 2017 we started the CLIF Enduro East series with the provisions they would all be registered as EWS Qualifiers while in 2018 we hosted 2 EWS Qualifiers and the finals for the new EWS North American Continental Championships in that series. 2018 is another milestone for our DH series as we split from USAC to make racing less complicated and less expensive for our racers. In 2019 the ESC will be adding ebike racing and concentrating on growing our great racing community, while increasing the FUN factor. 2019 is looking great for MTB Gracity Racing on the East Coast and especially the MAXXIS ESC racers, sponsors and venues ! The MAXXIS Eastern States Cup exists to ensure the future of gravity mountain bike racing on the East Coast. There are three main partners in the sport: racers, venues and sponsors. The MAXXIS ESC works to bring them together, listen, learn their concerns and act accordingly. The ESC offers a format that will excite all three groups, ensuring that Gravity Mountain Bike Racing will prosper on the East Coast. The MAXXIS ESC offers racers a variety of venues, great courses and reasonable race fees. At the same time the MAXXIS ESC will host the highest quality downhill, enduro and E Bike racing. The MAXXIS ESC will concentrate on keeping the venues within a reasonable geographical area to minimize travel expenses. The MAXXIS ESC offers venues an event that is profitable and easy to manage. The MAXXIS ESC will introduce a dedicated group of riders and racers to the venues at each event. The MAXXIS ESC strives to ensure a welcome return to each venue for years to come. The MAXXIS ESC offers sponsors an economical and professional vehicle for media and onsite exposure. The MAXXIS ESC will introduce its loyal racers and fans to sponsors products. The MAXXIS ESC will partner with sponsors to maximize their investment. Above all the MAXXIS ESC strives to provide a fun safe atmosphere for all.